It's not good to cook well matured snake gourd. It's always better to choose young or slightly matured from the market. Snake gourd will cure the problem of masculinity. It will increase the sexual feelings. Those who are having thinner body can consume snack gourd in their diet often to get fat body. 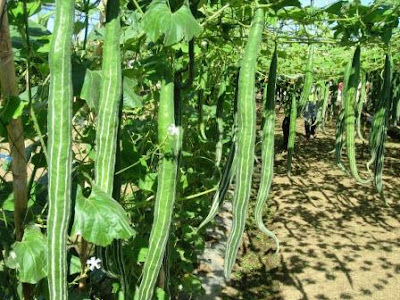 Snack gourd will remove the Digestive troubles and trigger the hungry. It has the capacity to heal intestinal wound. Who has Peptic ulcer, sore throat can follow snack gourd in their diet to avoid the major issues by them. It is rich in fiber, which is capable of cure constipation. 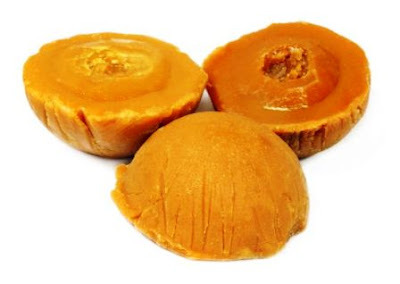 Snack gourd is the best medicine to cure hemorrhoids. It gives refreshment to the nerves and improves memory power. Snack gourd help to women who has white discharge problem. Curing uterine disruption. Also, it will enhance eyesight. High water content in the snack gourd helps to discharge unwanted salt water through sweat, or urine. It cures rheumatism and bile disorders. Egg kheema is one of the famous recipe available from Indian street's or road side restaurants. It is a Dhaba recipe. Usually it will be made instantly. May be within 10 minutes. Ok. let's bring the Dhaba style Egg kheema to our home kitchen today. Heat 3 tsp of oil in a pan. Once oil hot add chopped onion, curry leaves and coriander leaves and fry it until the onion gets translucent. Then add all spices and fry it until the raw smell goes off. Now add very little water and bring to boil. Once oil start separate, add grated boiled egg and stir it. Cook for another two to three minutes. Add little fresh coriander leaves for garnishing. Now the Dhaba style Egg kheema is ready to serve. Basic needs of the human life are food, clothing and lodging. Among these foods in the first place ever. 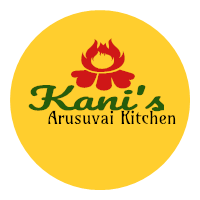 We like to prepare food in many varieties, many ways and in different names. One of the favorite ingredient for children to Adults is the Potato crop which is being harvested on the hillside. India is the second largest producer of potatoes in the world. 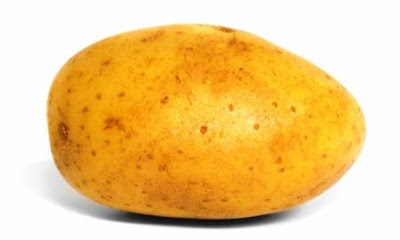 Potato is one of the preferable food across world. The reason is many crispy snack's product produced using the potato across world. People who has stomach problems should avoid the potato/potato juice. There is a chance of Diarrhea while drinking potato juice. It will be more taste from potato juice if New, dot less, mature and which has sprout being used. To increase the taste of potato juice we can add carrot juice and herbals like sage, nettle and Spirulina in it. It is believed that Potato juice consumption can reduce and prevent the risk of heart disease. Also, people believed that potato juice will heal blockage in the blood vessels, heart attack, cancer and tumors. So it is best to choose for kitchen. Drinking potato juice before breakfast and before 2 to 3 hours of dinner will control hungry. So, it will reduce the weight. Whoever needs to reduce weight can follow this method. Potato juice is considered better to fix the vulnerability of Kidney problems. It also prevents the formation of kidney calcium stones. Potato juice is the best agent for Expelling unwanted waste in the liver and gall bladder. Japanese using this juice for curing inflammation of the liver. Drink to 1 or 2 cups of potato juice per day to cure Cancer, gastric ulcer, diabetes, kidney disease, heart disease, liver disease, high blood pressure and severe shoulder pain. Potato juice helps to improve hair growth. For this, we need to remove the skin and cut into small cubes. Then grind this into paste. After that, squeeze the filter to collect juice alone. Mix little honey and egg white. Apply on the head and soak for 2 hours. Then rinse with a good shampoo. This treatment will give the improvement of hair growth. Therefore, there is no doubt that using potato in our daily life will increase the beauty and health of everyone. Boil the tomato in water and peel out the skin. Then grind and make into puree. Soak tamarind in Mandi water for 15 minutes. Heat 4 tsp of ground nut oil in a pan. Once oil hot add mustard seeds, urad dal. and Kuzhambu will have chilli flavor. Then add chopped onion, Garlic and cut brinjal and stir it for 1 minute. Now add tomato puree and stir it for a minute by adding turmeric powder, salt. Add tamarind mandi with this and bring to boil for 3 minutes. Now authentic Green chilli mandi ready to serve. Make smooth powder of dry ginger and boil with very little water. Apply this paste on the joints. 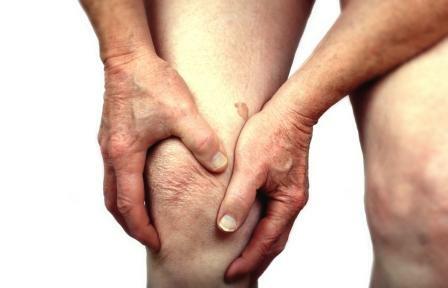 Make smooth paste of poppy seeds with Abutilon/ Mallow and applying on the joints will reduce the pain of Arthritis. Applying Cardiospermum halicacabum on the paining areas will cure the Arthritis. Heating Neem oil, castor oil and Coconut oil in an equal ratio and applying on the paining areas will reduce the Arthritis pain. Applying Vitex leaf juice on the joins will reduce the Arthritis pain. Wilting the vertex leaves along with Pergularia leaves and dressing on the joints will reduce the pain. Wilting the black vertex leaves along with little salt and dressing will reduce the arthritis pain and tumor. Chopping and wilting Alangium salviifolium and dressing with warm on the joints will reduce the pain. Wilting Aeglemarmeles young leaves and dressing on the joins will cure the pain. Applying onion juice with mustard oil on the paining areas will cure joint paints. Wilting the cotton leaves with castor oil and dressing on the joints will cure the arthritis. Boiling the Beech leaves with water and washing the joints with this water will cure the arthritis pain. Jaggery coffee is still very special In Indian villages. Jaggery which is made by boiling the sweet toddy(drawn in a pot lined with lime to prevent fermentation) will have special taste, smell, medicinal benefits. This is not only used for sweet by our ancestors. Because, It has lots and lots of medicinal benefits. Nowadays, there are sweet cakes being made with palm jaggery along with dry ginger, black pepper and long pepper. The awareness and demand for palm jaggery is increasing in the cities since it is very good for health even for sugar patience. Recently Srilankan Institute of sugarcane research center did a study collaboration with Indian Institute of Sugarcane research center. This study proved that sugarcane jaggery with pearl onion(Shallot) is the best medicine to treat dengue fever. Women can take pudding made with urad dal( black gram) and jaggery . It will help them to strength their hip and make uterus healthy. Eating roasted cumin seeds along dry ginger and jaggery will make hungry. Eating basil(Ajowan) along with jaggery will remove gas troubles. is the best medicine to increase the masculinity power. Adding jaggery in the coffee instead of white sugar will control the suger level in the body. Even sugar patients can drink jaggery coffee. It has much calcium in it. Also, it will increase the immunity. Sugar patients can take cooked hand peeled rice along with jaggery . It controls their sugar levels and avoids the frequent urination. Adai is one of the most popular breakfast or dinner recipe in South India. Sometimes people used to make for evening snack. I have seen recently the unique way of making Adai at Tanjore. It will be crispy. So, thought to try at home and share to you. Let's see. Soak the rice and chana dal for two hours. Then grind these two along with little salt such a way that the ground batter is coarse and very thick. Add one or two tablespoons of water if necessary. It should be similar to Masala Vada consistency. Heat a pan and add two table spoons of oil. Then add mustard seeds, cumin seeds and urad dal. The reason why we put more Urad dal is, it will give unique flavor while biting. Once mustard starts spluttering, break red chilli into pieces and fry it. Then add chopped onion, curry leaves and fry it until it gets translucent. Add grated coconut and fry slightly. No need to fry till golden color. Add this seasoned mix into batter and mix it well. Now batter is ready. Heat a skillet and apply one tablespoon of oil. Once skillet get hot, add one big spoon of batter on top and spread. Apply oil in the sides of Adai. So that it cook well and easy to flip to other side. After two minutes, flip into other side. Cook for another two minutes. Now take out and serve hot. Tanjore special Adai is ready.